Israeli Prime Minister Benjamin Netanyahu came out on Wednesday in support of pardoning Elor Azarya, as right-wing Israeli officials further coalesced in support of the Israeli soldier who was convicted of manslaughter for the point-blank shooting of a Palestinian in Hebron. 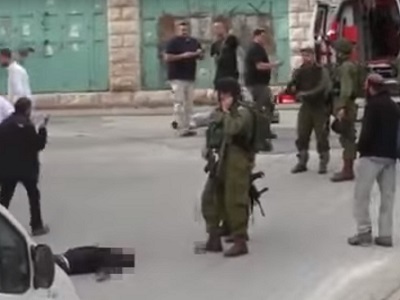 The Israeli military court gave a wholesale endorsement of the prosecution’s argument that Azarya was unjustified in killing 21-year-old Abd al-Fattah al-Sharif in March, based in part on the blistering testimonies given by Azarya’s army commanders. Manslaughter charges carry a maximum prison sentence of 20 years, and Azarya can appeal both the conviction and the sentence to the Israeli military appeals court. A court reporter for Israel’s The Jerusalem Post said that the judge’s “one-sided” conviction made the decision more vulnerable to appeal, as judges had not expressed any sympathy to the defense’s argument. 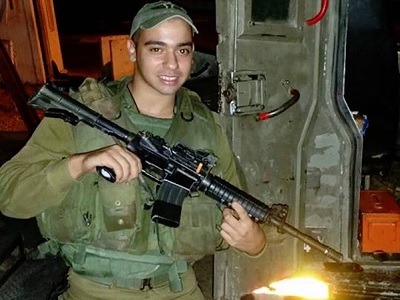 Israeli President Reuven Rivlin is likely to face a request to pardon Azarya, according to reports, as Israeli Education Minister Naftali Bennett has already stated that the soldier should be granted an immediate pardon. Israeli Defense Minister Avigdor Lieberman has also reportedly not ruled out the possibility of a pardon in private discussion, however on Wednesday he said the verdict had to be respected, despite his displeasure with the conviction. According to Israeli newspaper Haaretz, Lieberman stated that calls for a pardon were “ignorance and slogans” following Netanyahu’s statement. While Azarya has garnered mass support from Israel’s far-right citizens and government, who have labeled the soldier a national hero, the outcome of the trial has been described by the Palestinian Authority as a “show trial” handing down a lenient sentence on the soldier, while focusing on the case to distract from a wider culture of impunity for Israeli forces. Azarya, now 20, was the only member of Israeli forces to be charged with the death of a Palestinian in 2016 — when at least 112 Palestinians were shot and killed by Israelis — according to Human Rights Watch. Meanwhile, the al-Sharif family has vowed to take the case to the International Criminal Court to obtain justice for their slain relative, arguing the video-documented case was in fact cold-blooded murder.